During tourist season, everyone visits the Louvre and Musée d’Orsay. You end up with massive crowds and not a lot of time to see everything. Do yourself a favor, avoid the crowds, and check out of some of the more unusual museums like the Paris Sewer Museum, the Museum of Romantics, the Fairground Museum and the Counterfeit Museum. Sample the exquisite African Hot Chocolate or The Mont-Blanc pastry at the Angelina Tea House. When famed confectioner Antoine Rumpelmayeri opened its doors in 1903, it was the place to be among the Parisian aristocracy. Proust and Coco Chanel rubbed shoulders with the biggest names in fashion in Angelina’s salons. There is no better way to see a city, than from above. Take one of the hot air balloons from André-Citroën Park and get a ride you will not soon forget. 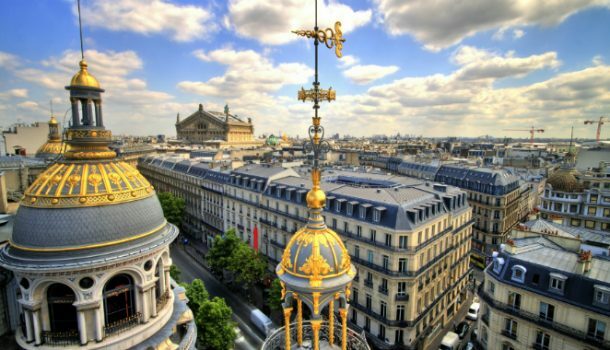 The hot air balloon is one of the biggest in the world and sees the city of love from the skies. Another very French thing to do is grab a few baguettes, some cheese, a bottle of wine, and go for a Picnic. Just remember to head over to the Seine early so you can get a spot.